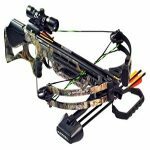 Because of its lightweight design, this affordable bow is known to be the best kids and women’s recurve bow you can find on the market. It’s so comfortable that it’s ideal for target shooting even for long periods of time and you won’t even experience hand fatigue. Weighing only 2.2 pounds, it’s absolutely and portable. This easy-to-use and easy-to-assemble bow is available with 20, 25, 30, and 35 lbs. of draw weight. It’s durable, accurate, and recommended for those who want to be familiar with archery. The Razorback also accepts accessories. You can add a sight, a quiver, and a stabilizer for easier target shooting. It even has a Berger button hole for a cushion plunger. Thanks to its hardwood riser and wood-laminated limbs, it’s without question one sturdy bow. You can use this is in all weather conditions, too. And that’s possible because of the comfortable grip. One of the great advantages of this bow is it’s easy to assemble and dismantle. You can unscrew the limbs and the riser apart without the use of an Allen wrench and keep it in its case if you’re going for a long trip. This bow is extremely smooth for young or adult beginners with a recommended bracer height of 7.5 to 8. 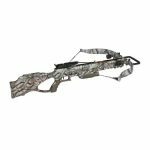 Having a 62-inch length, this bow is longer than other bows on the market but that’s not really a problem especially because the longer the bow is, the more accurate it is. You don’t have to worry about the vibration and hand shock as well because it’s reduced and you’ll barely feel them. This bow also features a comfortable grip for both right-handed and left-handed archers great for long hours of target practice. However, since this is meant for archery and target shooting, you can’t use this to hunt. Some may also be concerned with the available draw weights because they think their children can quickly outgrow the 35 lbs. draw weight. A customer also complained about the limbs being backwards but once he got them fixed, the bow worked well. 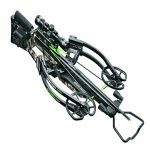 Aside from that drawback, it doesn’t come with an arrow equipment so you have to consider all important factors about choosing the suitable arrows to match your requirements. Arrows are selected based on sizes, lengths, targets for competition, and practicing. If you want to choose an arrow based on the length, that’s simple. Determine your draw length first. If you already know, then you just have to add 1 to 2 inches to that and the result will be your ideal arrow length. So if your draw length is 28”, get an arrow that’s 29-30 inches long. Concerning the string, if you want to buy a spare string for this bow, make sure it has an AMO length of 62″. The actual length of the string should be 58″. The B-50 Dacron string will work great with this recurve. If you’re a beginner, I recommend getting a long arm guard that covers your arm past your elbow, a glove, a stringer, and a quiver. A sight would be a nice addition, too. But if your budget is limited, at least buy an arm guard and a glove for your own protection. This comes with a storage case already, so you don’t have to worry about where to keep it safe. The lack of an arrow rest, however, could be inconvenient for you so you have to get one. PSE products are some of the most trusted archery products you can have for a limited budget. Razorback owners have emphasized the greatness and practicality of its lightweight design and easy-to-use features. 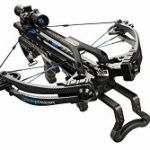 Buyers also remarked the build quality of the bow, citing the high quality wood and sturdy assembly as the key selling points. Some beginners also said that this was the best and cheapest option they could find. They even mentioned that it performed better than some more expensive recurve bows. 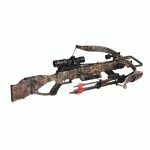 This Razorback and other PSE products have limited lifetime warranty. You just have to replace the string at lease once a year and check your warranty card for the list of restrictions. The customer service is great; they respond quickly and handle your concerns. The Razorback is a beginning children’s bow that is also used by women because it is smooth, forgiving and durable. It’s the great associate for practicing your proper archery stance. 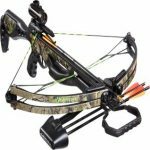 To sum it up, this recurve bow is ideal for teenagers and women who want to learn how to shoot a traditional recurve bow. They’ll definitely enjoy easy takedown and convenient quick-storage. It’s beautifully crafted with a layered handle of maple, walnut and oak for durability and is available in right-hand and left-hand models. Looking to look at more models before making your buying decision? Then check out our recurve bow buyers guide.